Dr Chris Stanton undertook his undergraduate studies at the University of Newcastle Australia, gaining a Bachelor of Arts (focusing on psychology and linguistics), a Bachelor of Information Science, and lastly in 2002, while a member of the inaugural "Nubots" robot soccer team that placed 3rd in the world at RoboCup, a Bachelor of Business Honours (First Class). In 2003, Chris moved to Sydney to begin a PhD in software engineering at the University of Technology Sydney, and was a key member of the "UTS Unleashed!" robot soccer team, which placed second in the world in 2004 and 2008. Chris's PhD thesis, titled "Grounding Oriented Design", drew on his experience as the software development leader of the UTS robot soccer team, and presented a methodology for designing artificial intelligence for autonomous robots. Upon completing his PhD in 2008, Chris worked as a postdoctoral research fellow at UTS, and was appointed to a three-year Chancellor's postdoctoral fellowship in 2009. 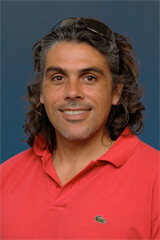 In 2012 Chris moved to The MARCS Institute at Western Sydney University to undertake research in Human-Robot Interaction (HRI) and Human-Machine Interaction (HMI), in particular focusing on how a robot's behaviour and appearance can influence people's behaviour, attitudes, and decision-making processes.